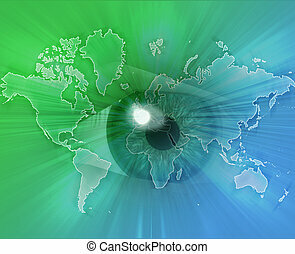 Eyeing the world. 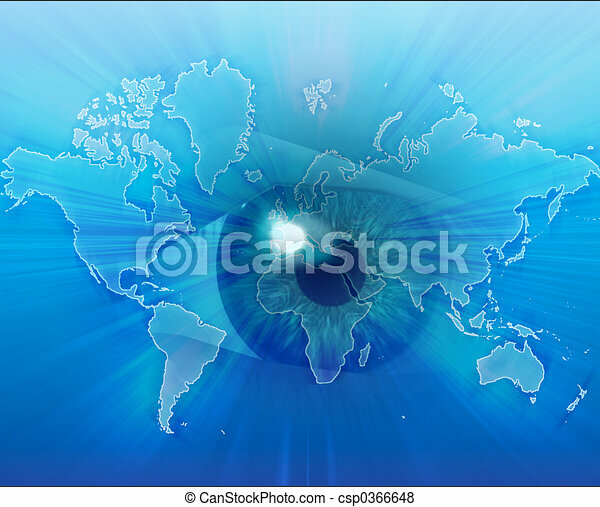 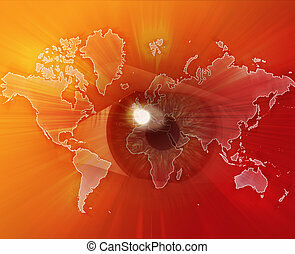 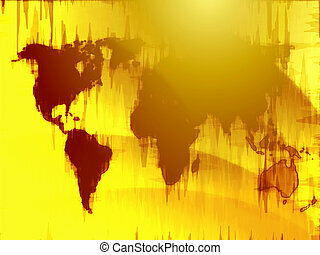 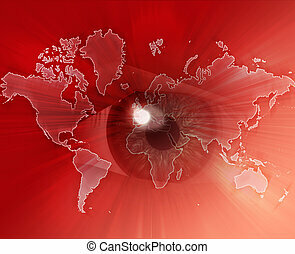 Digital collage of an eye over a map of the world. 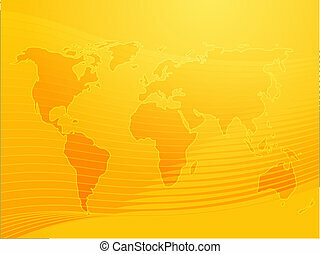 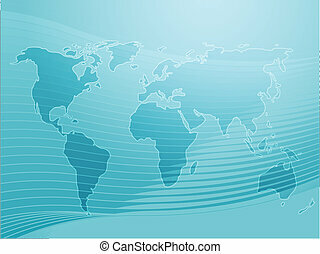 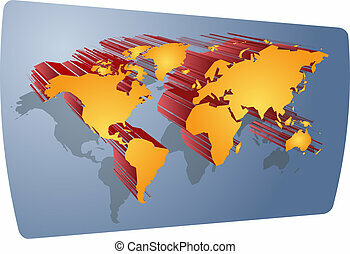 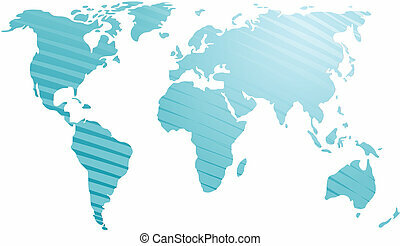 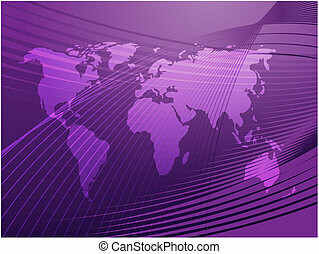 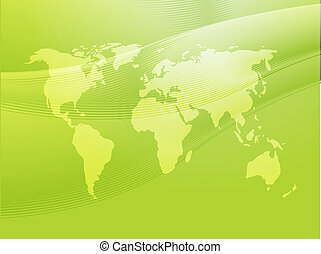 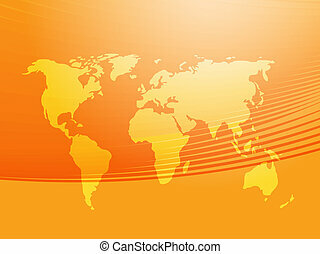 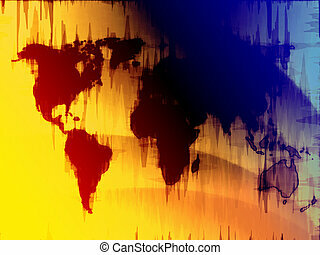 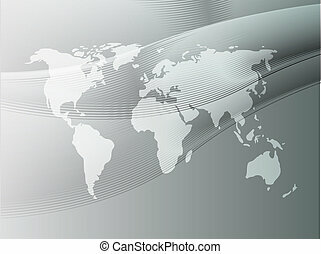 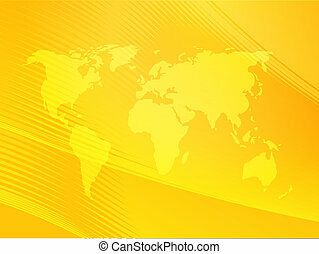 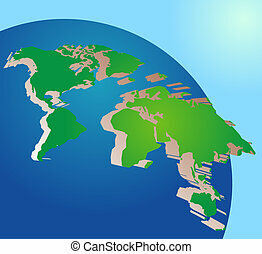 Globe, with a 3d map of the world coming out.